Steve Ebbing, the president of the Ebbing Group, LLC has been focused on business performance improvement and operational excellence for over 25 years. His background includes engineering, engineering management, and operations management. As a Corporate-wide Operational Excellence leader, Steve developed and implemented a widely accepted Lean Maturity Assessment process, a Goal Deployment/Hoshin Kanri process, initiated a standard Operating System for the company, and led Lean transformations for a number of sites. 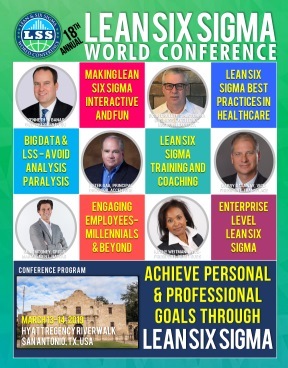 Throughout his career Steve has been implementing Lean Six Sigma in aerospace, medical device organizations, hospitals, hospital pharmacies and other companies in manufacturing operations and in transactional functions both domestically and internationally. Steve’s prior experience includes roles as an Adjunct Faculty position at the University of Tennessee as Trainer and Lean Facilitator to the United States Air Force for the Air Force Lean Implementation Program, AFSO21, and as an instructor for San Diego State University Lean Certificate program. Steve has trained, coached, mentored and certified numerous students through Project Sponsor/Champion, Kaizen/Lean Leader, Lean Six Sigma Green Belt, and Lean Six Sigma Black Belt classes. Steve is a 10+ year volunteer for Tech San Diego’s Manufacturing Operations Round table program and a member of the Board of Directors for the Western Region of AME (Association for Manufacturing Excellence). Steve has both a Bachelors of Science degree and a Master of Science degree in engineering from the University of Illinois. He is a Certified Lean Six Sigma Black Belt, and a Certified Lean Six Sigma Master Black Belt.